6 levels available: A1, A2, B1, B2, C1 y C2. Yu can advance continually and progresively. Do your level test online. You will be able to interact with fluency in Spanish because of our focus on all communicative skills. Speak and interact directly with your teacher. You will have access to the interactive platform and be able to listen to the audios and see material. We tailor design a study plan, to adapt to your needs. Our teaching is acredited by the University Rey Juan Carlos. Our teachers are native, certified and are offical examiners. Prices for conversation classes and for Spanish in general. Duration of one class: 30 minutes. 1- How can I request my free trail class? You can request your first free lesson by telephone or by email. You only have to give us a date and time that suits you, also a level and content of the class that you would be interested in. The lesson lasts 30 minutes and is one per student. 2- How do the Skype classes work? You contract the lessons you wish from our online regisistration platform: you select the programme, the level and content. The time and date is up to you. We will contact you to confirm the date and time. If there is no teacher available at the time requested, we will look for a different time that suits you. 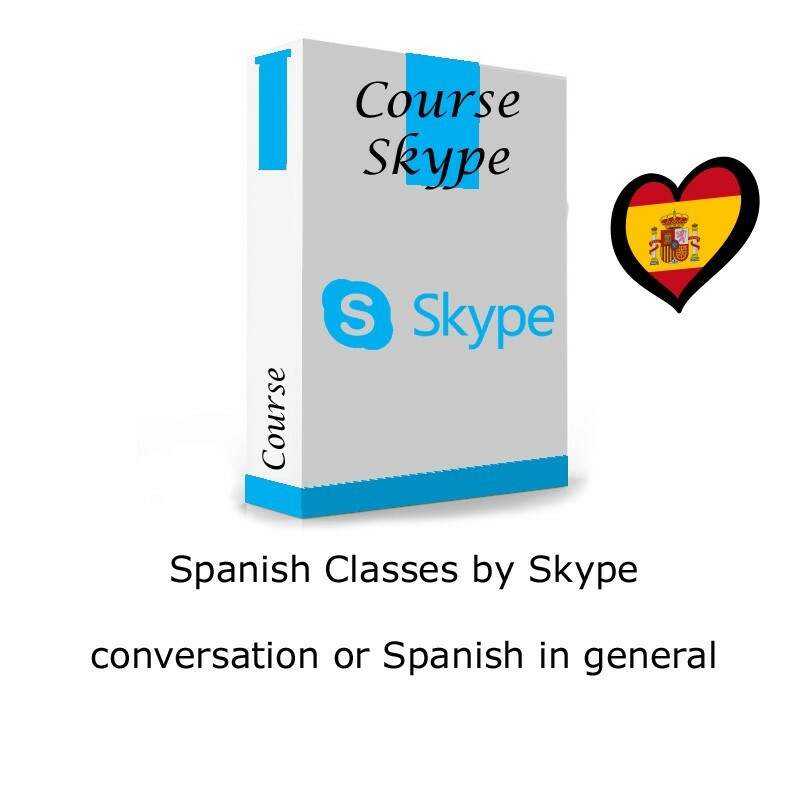 Before the Skype Spanish classes you will have access to the virtual platform with all the material of the class. You will connect with your teacher by Skype the day and time indicated previously. After finishing the class, the teacher will send you a report of what was done in class along with extra practice material that will be later corrected. 3- How do I contract the classes? From our online registration platform. You can pay by credit card or bank transfer. 4- How long will the classes last? The Spanish exam preparation classes for specific needs will last 55 minutes. Conversation and general Spanish classes last 30 minutes. Credit bonds for Spanish classes by Skype have a total of 2 months until expirey. To be able to cancel the Spanish classes through Skype you must notify us 24 hours before the class. If the class is on a Monday or on a bank holiday you must cancel on the Friday before. There will be no refunds for cancelations, the class will be postponed for up to 2 months. If you do not cancel the teacher will be ready for the class waiting for you so there will be no refund nor will the class be able to be postponed.